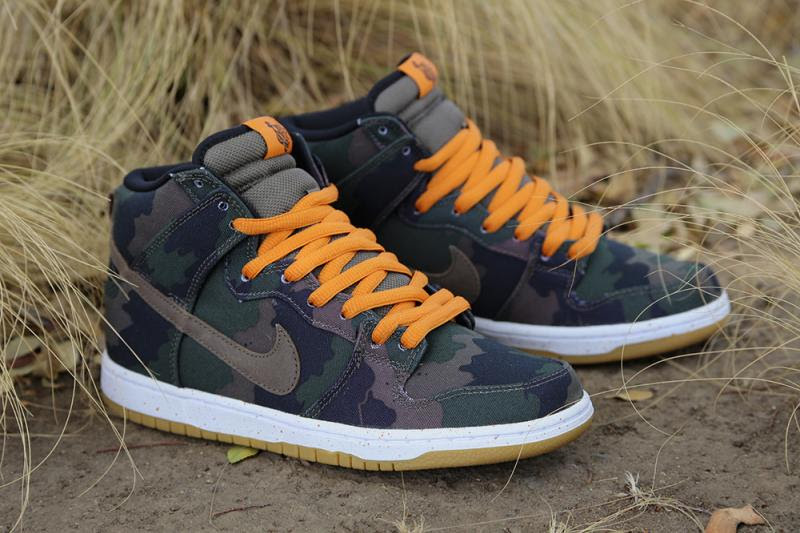 This color way of the Nike SB Dunk High was the result of a collaboration with the 510 skateshop, Benny Gold, and Nike. The sneaker features a camouflage upper, as well as contrasting Orange laces reminiscent of the UNDFTD collaborations. A speckled White midsole and a Gum outsole complete the look on this skate collaboration.